The color of summer! The fruit of summer! The drinks of summer! I’m gonna be totally honest with you. These cocktails happened by mistake. But sometimes the best things happen by mistake, right? I bought a watermelon and decided I was going to cut it all up at once (you know, #mealprep) and keep it in the fridge for the week. I picked out a small watermelon; small being the key word, so that I wouldn’t be inundated with it. Turns out even small watermelons produce way more than what could fit in my empty Pyrex containers. P.S. I love the square ones. Anyhoo, I froze a bunch of the cubed watermelon on a cookie sheet and decided that a frozen cocktail (or mocktail!) was definitely the way to go. Let’s start with the mocktail. 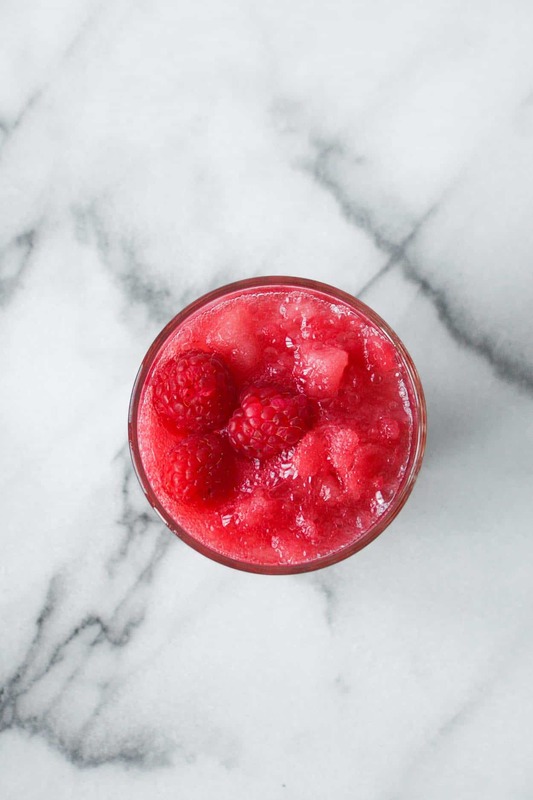 It’s super simple – all you need is some watermelon slush, club soda, and a few extra goodies! I opted for a sprig of rosemary and a few raspberries. 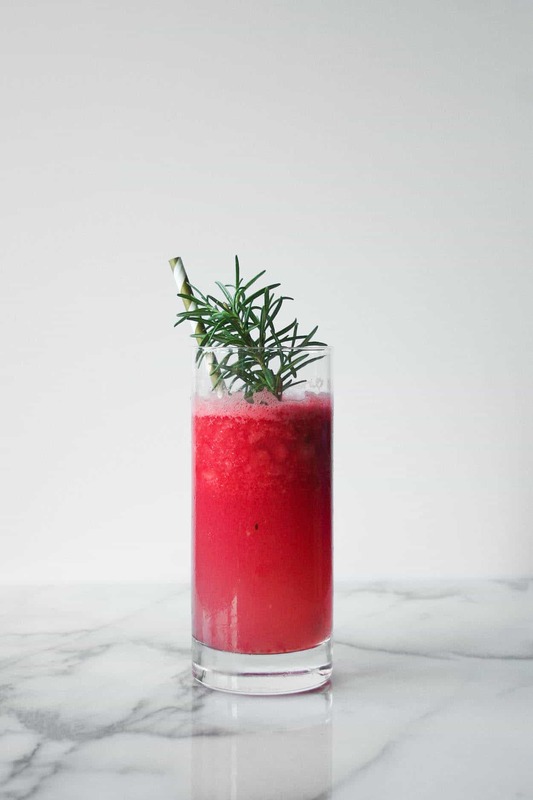 I love smelling the rosemary as you are sipping the drink. 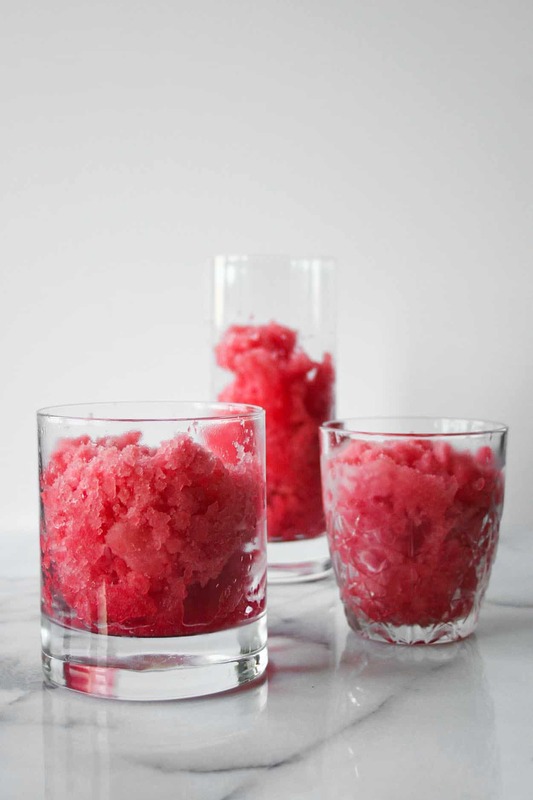 Next up: the Frozen Watermelon Spritzer (my fave!). Somehow this is even simpler than the mocktail. 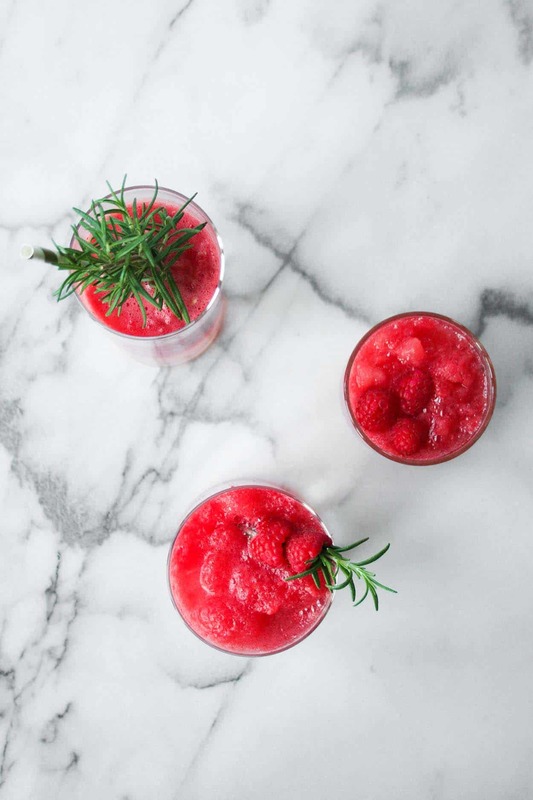 Watermelon slush + prosecco = summer in a cup. It’s simple math people. 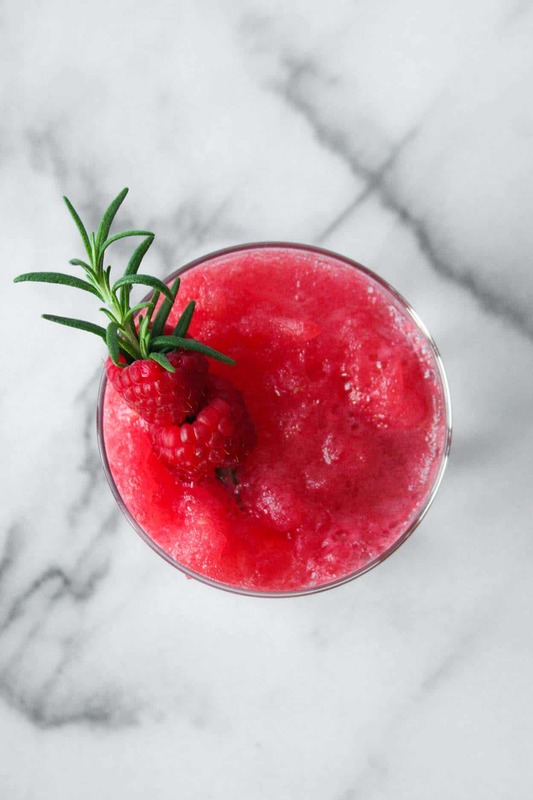 And last but not least – the Frozen Watermelon Smash. This is Pat’s favorite and I happen to think it is quite wonderful as well! If you are a gin drinker, you will LOVE this. It’s slightly more complex; and by more complex I mean you have to add one additional ingredient. So it’s really not all that bad! Oh and happy birthday to my little sister – she is 25 today!! Cheers to you Martha! What’re your plans for the weekend? It’s supposed to be hot as sin in Chicago, but we’re heading to Lake Geneva for a long weekend and I cannot wait to relax by the water. 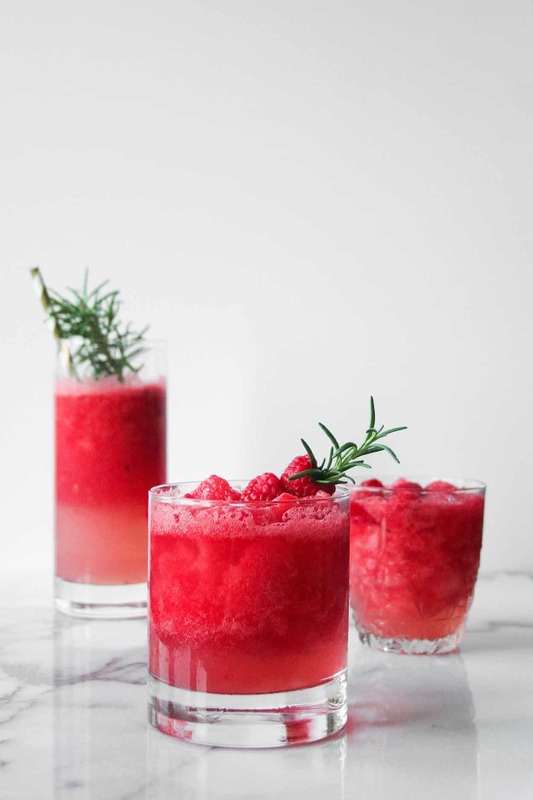 You cannot go wrong with any of these Frozen Watermelon Cocktails! If you make these or any of my recipes, don’t forget to post a picture social media and use the hashtag #imhungrybynature for a chance to be featured! 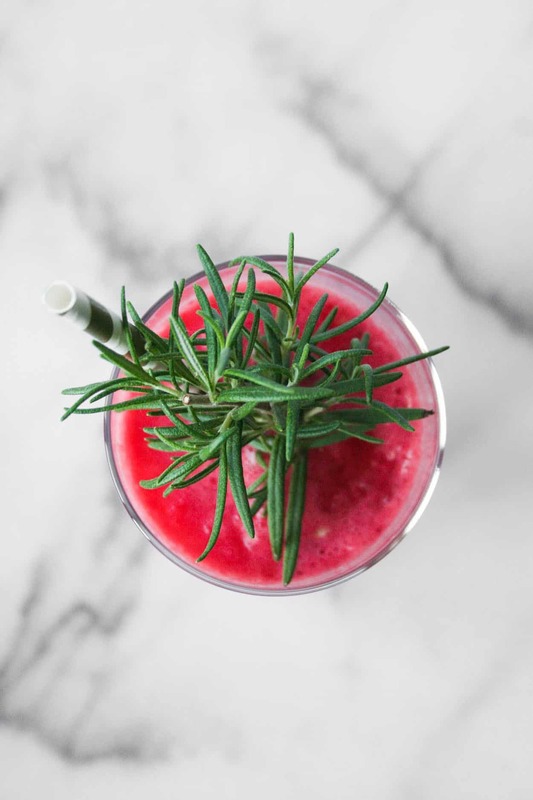 Extras: rosemary springs, raspberries, lime wedges, fun straws! 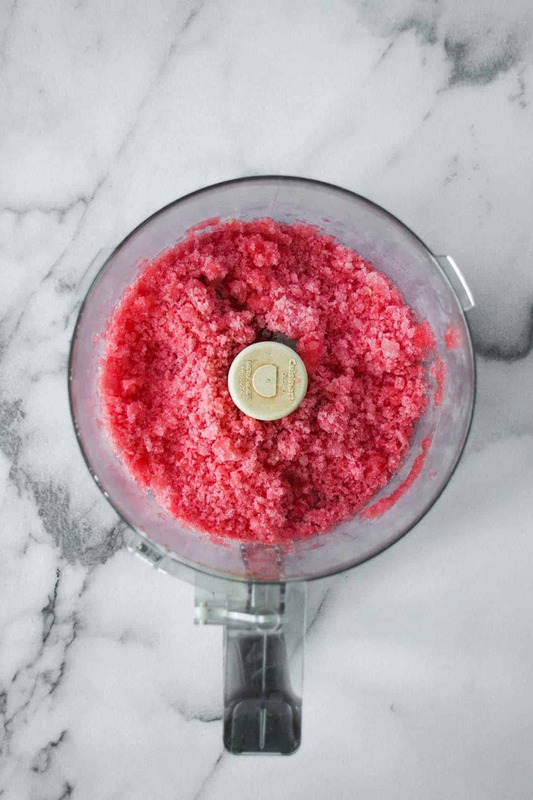 Use a food processor or blender to blend watermelon into a slushie consistency. 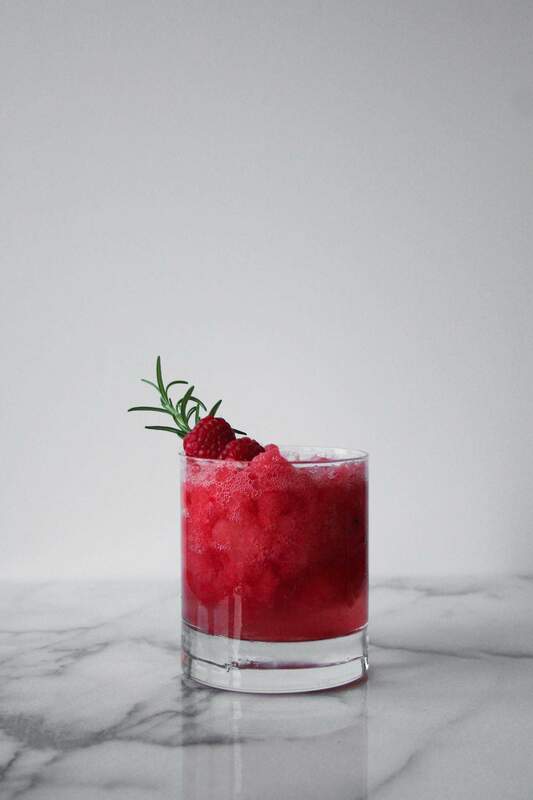 Place in a cup and top with club soda and rosemary sprig with raspberries or a lime wedge. 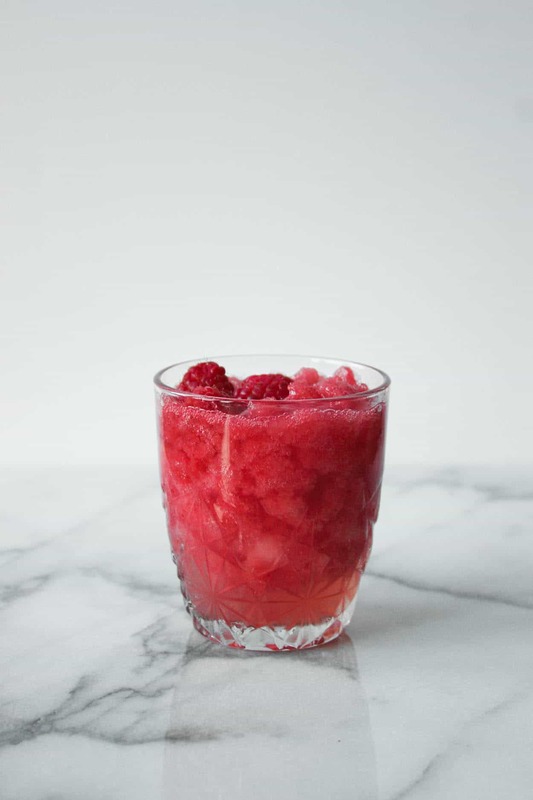 Place in a cup and top with prosecco and few raspberries. Place in a tall cup and top with 1.5 ounces of gin (Hendricks is my favorite), 0.75 ounces of lime juice, and fill with club soda. Top with a sprig of rosemary. Maybe next time I’ll use vodka… or tequila! Tequila always wins. Yum I love watermelon! i haven’t made cocktails with it ever tho- I need to get on that! Thanks Bev! I can just picture myself on a bike, with a watermelon, and sweating like no other… not a pretty sight! And I just watched your VLOG – BC looks incredible and so so gorgeous! I’m sorry the work side of the trip was a little disappointing, but just know that you are gorgeous and I cannot wait to see the lifestyle shots you are in the upcoming catalog! It’s so refreshing – you’ll love it!! Ahhh yes! You must – the smash is amazing!